Okay lets assume , you wanna design a little search engine that would search the requested key words in few websites (say 5 websites) ,So what would be our approach ? First of all, we will store the contents that is webpages of that 5 websites in our database. Then we will make an index including the important part of these web pages like titles,headings,meta tags etc. Then we would make a simple search box meant for users where they could enter the search query or keyword. User’s entered query will be processed to match with the keywords in the index and the results would be returned accordingly. We will return user with list of the links of actual websites and the preference to those websites will be given to them using some algorithm. 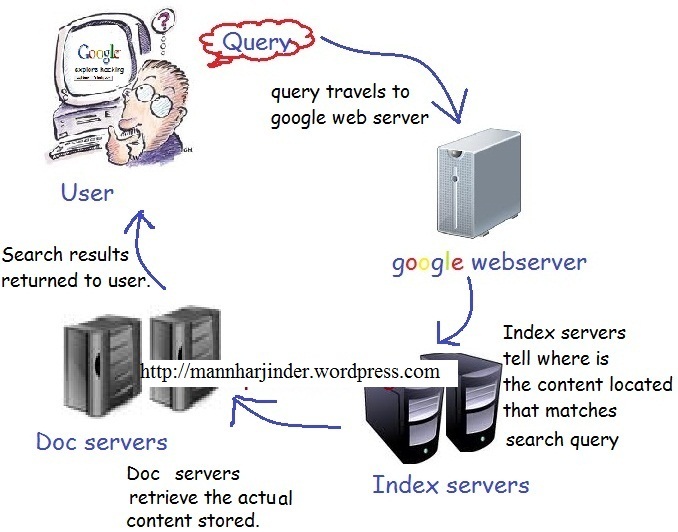 I hope the basic overview of working of search engine is clear to you. Now read more regarding the same. A web search engine works basically in the following manner. There are basically three parts. Go to google. and search for ‘wikipedia’ Hopefully you would get this link on top. Click on the ‘cached’ link as shown. Then read the lines at top the page you got and things would be clear to you. 2. After googlebot has saved all pages, it submits them to google indexer. Indexing means extracting out words from titles,headings,metatags etc.The indexed pages are stored in google index database. The contents of index database is similar to the index at the back of your book. Google ignores the common or insignificant words like as,for,the,is,or,on (called as stop words) which are usually in every webpage. Index is done basically to improve the speed of searching. 3. The third part is query processing or searching. It includes the search box where we enter the search query/keyword for which we are looking for. When user enters the serach query, google matches the entered key words in the pages saved in indexed database and returns the actual links of webpages from where those pages are reterived. The priority is obviously given to best matching results. 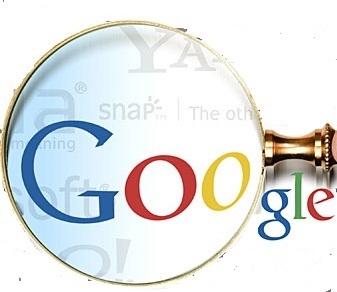 Google uses a patented algorithm called PageRank that helps rank web pages that match a given search string. The above three steps are followed not only google search but most of the web search engines.Ofcourse there are many variations but methodology is same. Disallow:/directory_name/file_name //specify a file of particular dir. Disallow:/directory_name/  //all files of particular dir.